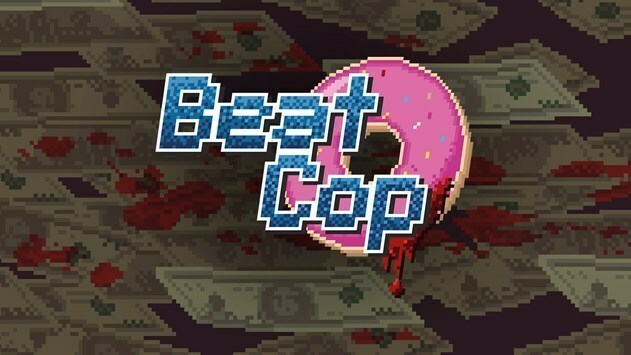 Beat cop is a indie point and click 2D game in which you are the new officer on the block. You run errands, solve crimes and write tickets… so many tickets. This message is what opens up Beat Cop. You have to write tickets, chase down robbers, respond to emergencies and keep the peace each day before 6pm. You go through a endless amount of chores that come from your superiors or from the mafia and gangs. These will involve police work or illegal activities. The tickets can be a pain though, 5 one day 10 the next, yet it works with the 80’s police show style. The lead creator Maciej Miąsik described Beat Cop as combination of time management and adventure, but what makes it stand out is that he also mentions that “some elements of the plot will disappear if you don’t take care of them”. This feature is great as most games don’t really address a character needing something from you within a timeframe, most games gloss over the fact that apoor NPC could sit waiting over 1 year for you to gather the vital medicine to cure them from a fatal injury, beat cop doesn’t. The art style is really something, I am a sucker for good pixel art, but holy crap i was taken away from how nicely done everything was. The music that you blasts out from boomboxes and stores when walking past adds so much atmosphere to the beat you are working on. It feels so like a living breathing space, that’s a joy to explore. Beat Cop is filled with humour and cop show cliches, all down to the gruff sergeant and crimey grimy back alleys. But there are choices in Beat Cop, for example someone offered me a bribe to get out of a ticket. I responded to reports of a crime scene in an alley and found out that one of the possible witnesses clearly hated the police. But you can choose to threaten him to try and get the information, maybe it’ll be a good outcome. Or not. In conclusion Beat Cop is a very nice looking, in depth, 80’s cop show and I love it even though I’m a 90’s kid. What kind of police officer would you be? Beat Cop is where you’d find this out. Is There Such Thing As Good Microtransactions?